Have you seen that revamped version of iSwallow? The team has updated the app and re-released it. Here is a copy of the email sent out…. We are pleased to announce the release of iSwallow2, now available on the iTunes store for $3.99. The long awaited overhaul of iSwallow is now available for download on your iPod, iPad and iPhone mobile devices. We are grateful to the thousands of loyal iSwallow users and look forward to serving the dysphagia community for years to come. The new version combines the unique functionality of the original program with a variety of enhancements. The $3.99 cost will allow us to ensure compatibility with future iOS updates and will also permit us to improve content and develop innovative solutions to benefit our patients. We thank you for your patience and loyalty and invite you to explore the features of iSwallow2. What it is: An app full of oral motor exercises with videos to demonstrate each exercise. SmallTalk Oral Motor Exercises is an app that was created by Lingraphica. This app offers an extensive list of exercises with accompanying videos to demonstrate how to complete each exercise. 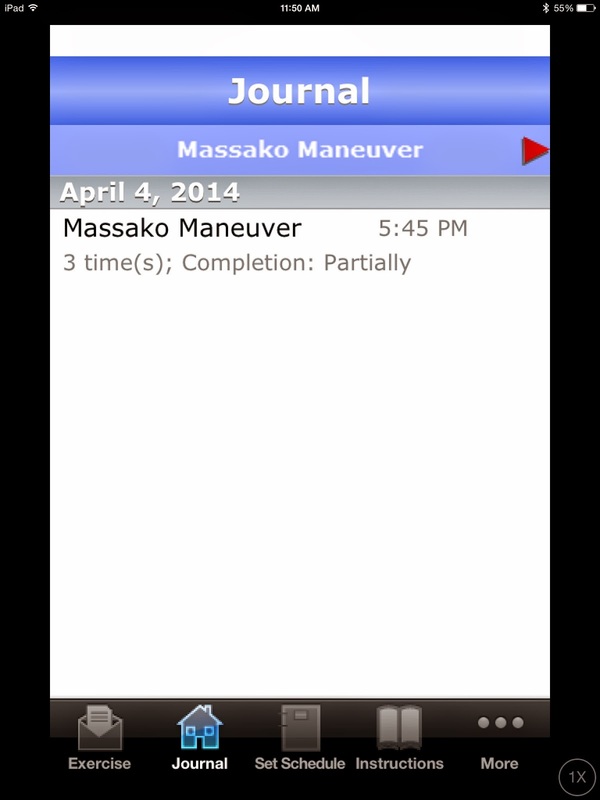 This is an app that can be used for a home exercise program, as there is a video to demonstrate each exercise. The downfall with this app is there is no way to personalize it for your patient to make it into a home exercise program. 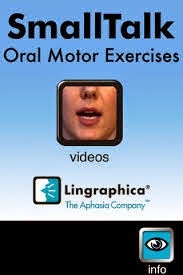 This offers a wide variety of exercises and if you are an SLP that likes oral motor exercises, this is a vast array. What it is: An app that can be used as an AAC device so that the patient can communicate about their swallowing difficulty. 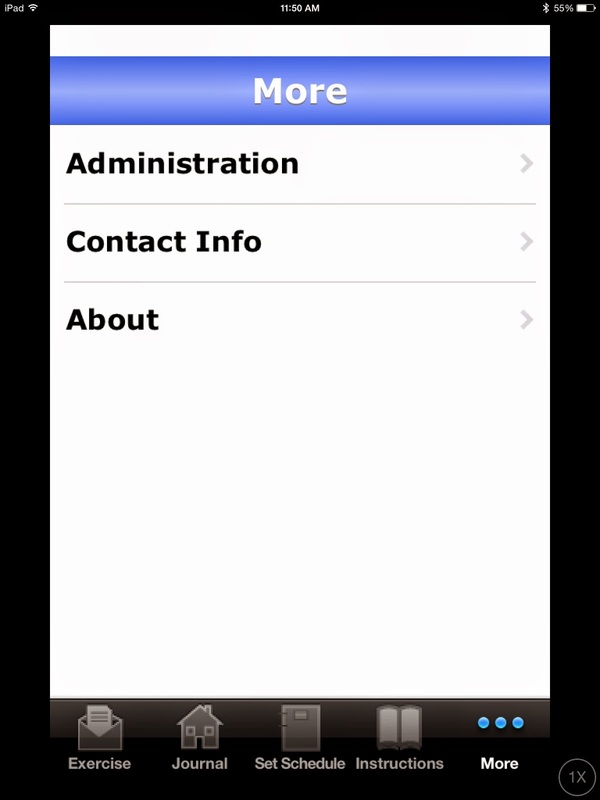 SmallTalk Dysphagia is an app designed for patients to use to communicate about their swallowing disorder. 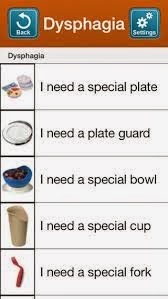 SmallTalk Dysphagia offers a variety of pre-recorded phrases that relate to a patient’s swallowing difficulty. 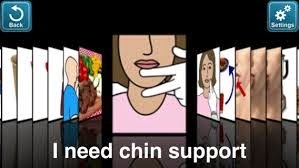 The app also offers 4 videos that will first tell the technique required to swallow and then show a video demonstrating the technique. You find this at the main menu by selecting Videos rather than Icons. The videos are available for the Mendelsohn, the Supraglottic Swallow, the Super-Supraglottic Swallow and the Effortful Swallow. The videos can not only be used as a reminder of how to complete each exercise, but can serve as an instructional video for care-givers and other professionals as well. It’s a nice app and can serve a great purpose, however it cannot be personalized to a specific patient. The patient would have to scroll through every phrase available to find the phrase they need. I typically review apps individually. These apps by Blue Tree Publishing are all very similar, so I decided to review them at once. If you’ve never heard of Blue Tree Publishing, they make incredible educational materials. They started making educational apps which are great to share with patients, caregivers, physicians, nurses and anyone who may be interested. The apps can be purchased individually or in a bundle. Each app offers a drawing that depicts each structure/function in the title. The drawing can be viewed still or animated. There is text that can be used to accompany the drawing or can be removed. 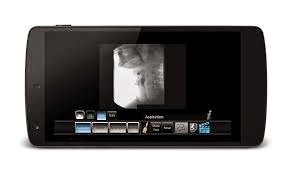 With the swallowing apps, Aspiration Disorders, Oral Disorders, Swallow ID and Residue Disorders, a video of a modified barium swallow study showing the dysfunction is included on each app. With the Aspiration Disorders app there is also a FEES video available of aspiration. The Larynx ID does not have videos, but does have nice animations to show the muscle functions and the structures, including how they move. Vocal Folds ID does have a video available showing the movement of the vocal cords during phonation. These apps are definitely worth the money if you need a great educational app. 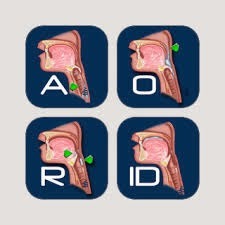 What it is: An incredibly simple app to use to learn and look up information on cranial nerves. Let me start off by saying: I LOVE THIS APP! I was referenced to a cranial nerve app which was $60. I thought to myself there has to be a less expensive version that I can utilize just as easily. We’re told often to complete a cranial nerve assessment, especially looking at neuro patients including CVA and patients with dysphagia. Cranial nerves can be daunting and scary. They don’t have to be! Along the left side of your iPad (for that version of the app), you have a list of the nerves by roman numeral. Touch the roman numeral corresponding to the cranial nerve you are trying to find. You will find a full description of that nerve: function, nerve tract, integrity tests, symptoms and signs and images. Yes! This app will tell you how to test the nerve and symptoms signs if the nerve is not intact. Sometimes there just is not enough information. If you are a Google/Wikipedia fan like me, then this app was designed for you. You might notice at the top of the description of the nerve in the above picture, there is a box icon, a G icon, a globe icon and a picture icon. If you have internet access, touch the G icon. Amazingly you will be directed to a Google search of that nerve. Similarly, touch the globe icon (third from the left) and you will be directed to a Wikipedia search of that nerve. This app can be used as a learning tool and a quick reference when you just can’t remember what that nerve is for or how to test it! This is a 5-star app in my book! Check out my guest post on Speechie Apps. 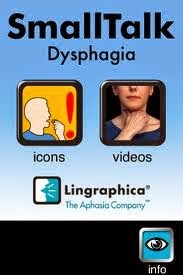 I reviewed Dysphagia2Go, the app that I co-authored for Smarty Ears! !